We are currently in the ‘last days’ before Elul 29, which begins Saturday September 12 at sundown and ends Sunday September 13th at sundown. During the Shemitah Year, Elul 29 is call the “Day of the Lord’s Release according to Deuteronomy 15:1-6, “At the end of every seven years thou shalt make a release. And this is the manner of the release: Every creditor that lends ought unto his neighbor shall release it; he shall not exact it of his neighbor, or of his brother; because it is called the LORD’S release.“ This was meant to be a blessing for those who follow God and deal with righteousness and justice, but it would turn into a judgment for those who are called of God and turned against His ways. God ALWAYS gives us signs in the Heavens! ALWAYS! For this reason, I am reposting the signs in the heavens of the ‘first year’ of the Seven year cycle of land following the Day of the Lord’s Release 9/29/2008. September 29, 2008 was the last day of the Shemitah Cycle (Leviticus 25) and was most remembered for the 777 point drop in the stock market on the Day of the Lord’s Release (Deuteronomy 15:1-3). As the final bell rang on Wall Street, Israel began Rosh HaShanah. This is also known as the Feast of Trumpets, the fifth of the seven ‘fixed appointed times of the LORD (Leviticus 23:24). At that time, the new set of seven year cycle of the land began. At this writing we are currently in the 7th year of the cycle, known as the Shemitah Year, the year the land enjoys her Sabbath rest. So many have reported the current signs in the heavens, but I felt the need to review my blog of 6/1/11, ‘2009 – When the Heavenly Birth Pains Began’. I hope you enjoy my review. Note: 4 times in Mark 13 Jesus told us to ‘watch’ as He told them what would happen in the last days. This is my report as a ‘watcher’. I have studied the heavenly signs of the Second Coming of the Lord since early 1990s when I read Marilyn Hickey’s book called Signs in the Heavens. As a Christian, I thought watching and studying the heavens (astronomy) was full of witchcraft because of those who looked at the constellations to decide how to live their lives (astrology). Once I read Hickey’s book, I came into a new understanding of why God created the “fixed stars”, which we know as Constellations. I studied, read, and researched everything the Bible had to say about the heavens. I clipped out every heavenly occurrence when there was an important happening in Israel, but was not released to teach it. In 2009, God finally released me to teach what I had stored up and I have been teaching it ever since. By the time I began sharing and teaching, I had several great books on Biblical astronomy and a full box of research. A pregnant woman understands signs of the birth being near, especially waiting for the water to break and the birth pains to begin. As we near the Second Coming of our Lord and Savior Jesus Christ, we are looking for the signs of His coming. Jesus said there would be signs in the heavens before He returned. February 24, 2009, El Cajon, CA. CBS News Channel 8, February 24, 2009. El Cajon, CA. http://www.cbs8.com/Global/story.asp?s=9898524 The 3 letters in Arabic are 666. 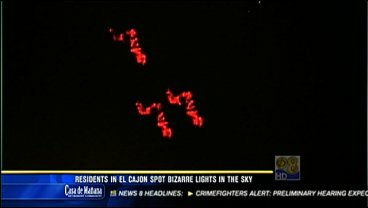 There was no natural explanation for the red Arabic letters in the sky and they were reported by CBS news. 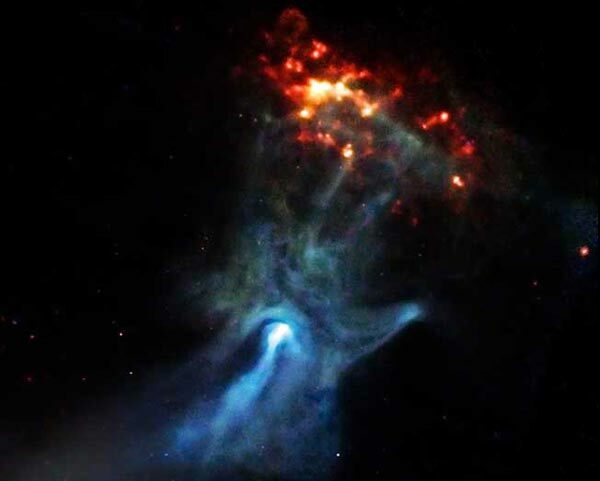 April 7, 2009- Hand of God in Action, http://www.foxnews.com/story/0,2933,512767,00.html This beautiful image of a “cosmic hand” reaching for the stars has been captured by a Nasa observatory. June 2, 2009- New Clouds Found and were named Asperatus clouds. http://www.dailymail.co.uk/sciencetech/article-1189877/The-cloud-Meteorologists-campaign-classify-unique-Asperatus-clouds-seen-world.html. Asperatus means ‘rough‘ and they were said to look ‘mean’. Evangelist Del Mar Coward of Vision Ministries had a vision of these clouds the beginning of 2009 while in prayer. www.thevisionministry.org. When I showed him the article, he said they were the exact clouds God showed him. He said that he had never seen anything so wicked and evil. Since that time, God has shown him that it was a demonic force released upon the earth. God has led him to an understanding of that vision from Daniel 10, to start in the 1st verse and he has received much revelation since then on principalities and power released. July 21, 2009, Planet Jupiter (King planet representing Israel & Messiah) was hit by a heavenly object 15 years to the date that Shoemaker Levi Comet bombarded Jupiter. History records that when Jupiter is hit from a heavenly object, something will happen to the country and people of Israel. 15 years ago the ‘land for peace’ deal was taking place in Oslo, Norway. July 22, 2009 , Total Solar Eclipse http://eclipse.gsfc.nasa.gov/SEmono/TSE2009/TSE2009.html This was the 2nd of 3 years in a row on the Hebrew day of Av 1 (August 1, 2008 & July 11, 2010) and was the longest in the 21st Century and it was called a ‘monster’ solar eclipse. It began in India, crossed through Nepal, Bangladesh, Bhutan, Myanmar, China, Japan’s Ryukyu Islands and curved through the Pacific Ocean. All the countries under the Solar Eclipse are in the 1040 Window. December 2, 2009, Superbright Supernova, first of its kind- believed to be a star that first populated the universe. A supernova is a star that suddenly increases greatly in brightness because of a catastrophic explosion that ejects most of its mass. December 8-14, 2009, Geminid Meteor Showers during the Jewish festival Hanukkah, peaked December 13 with 130 ‘shooting stars’ per hour. The normal evening would see approximately 10 per hour. December 31, 2009, Blue Moon. The moon is not really blue unless there is a volcano or something that would put dust into the atmosphere. A Blue moon means the 2nd full moon in one month, which is very rare. Since 2009 the heavenlies have been very interesting. I suggest you get a good Hebrew Calendar for Christians and record whenever there is something unusual happening in the heavens. I studied, read, and researched everything the Bible had to say about the heavens. I clipped out every heavenly occurence when there was an important happening in Israel, but was not released to teach it. In 2009, God finally released me to teach what I had stored up and I have been teaching it ever since. By the time I began sharing and teaching, I had several great books on Biblical astronomy and a full box of research. John Kilpatrick (www.johnkilpatrick.org) received a word for 2009, RESURRECTION, with each letter corresponding with what would happen that year. The ‘S’ stood for Signs in the Heavens. Hank Kunneman (www.ovm.org) wrote regarding 2009: Signs in the Heavens and Wonders on the Earth. Jesus said the powers of heaven will be shaken in Luke 21:26, we have seen shakings upon the earth but have we never seen the powers of heaven shaking as we are going to. Watch for incredible and very unusual signs in the heavens. 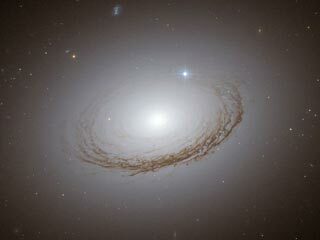 New discoveries in science and astronomy; signs in the sun that will cause great discussion. Things will be written in the newspapers and on the media as they won’t be able to explain the unusual signs in the heavens, as God uses this to bring glory and honor to Jesus Christ while others try to explain it away. A Red Heifer is significant to the Last Days and the Third Temple because of what God commanded in Numbers 19:1-9, “Now the LORD spoke to Moses and Aaron, saying, (2) “This is the ordinance of the law which the LORD has commanded, saying: ‘Speak to the children of Israel, that they bring you a red heifer without blemish, in which there is no defect and on which a yoke has never come.” This is the pattern King Solomon used to cleanse the First Temple. The Bible predicts that the Jewish Temple will be rebuilt in Jerusalem. Ever since the 70 AD destruction of Israel’s second Temple, one major roadblock barring the reconstruction of the Temple is the fact that the Temple Mount area has been defiled with warfare. In order to cleanse the Tribulation Temple Mount for worship the Jews will need the ashes of a pure red heifer. To this date, none have been found. Day 1- September 25, US Attorney General Eric Holder resigned. Day 1 – September 25, Red Heifer was born in Gatesville, TX with a perfect #7 on the forehead. In the Bible, the first mention of 7 is the day of rest, when God finished with His Creation work. The Shemitah Year is a 7th year rest for the land! Day 7 – October 1, The Dow Jones industrial average plunged 238.19 points, or 1.4%, to 16,804.71. The S&P 500 dropped 26.13 points, or 1.3%, to 1946.16 and the Nasdaq composite skidded 71.30 points, or 1.6%, to 4422.09. October also makes investors uneasy, as it is a month known for major stock market crashes in 1929 and 1987. This current Shemitah Year (7 year land rest of Leviticus 25:4) began last week, September 24 at sundown and will continue until September 13, 2015. The last 2 Shemitah years ( 9/30/2000 – 9/17/2001 and 9/13/2007 – 9/28/2008) on the Hebraic calendar have ended with incredible loss of the stock market value in Wall Street. The last day of the Shemitah Year in 2001 saw a stock market loss of 684 points and the last day of the Shemitah Year in 2008 closed with a 777 point loss. The 2008 loss began the Great Recession and has shook the world’s economies with not one nation left untouched financially . It looks to me that the Shemitah Year is beginning with a change, shifting and uncovering of things hidden in the darkness. Keep looking up!